At Audition Doctor, Tilly always encourages students to spend a considerable amount of time in search of the speech that they would like to work on. Picking the right role is paramount as students find that certain parts allow them to access a vulnerability or progress through an emotional trajectory that showcases their abilities to the utmost. While most of Audition Doctor’s students are professional actors and those applying to drama school, some are untrained actors seeking informal training sessions. While Audition Doctor provides help to many actors, Tilly always encourages those who have not formally trained to do so. 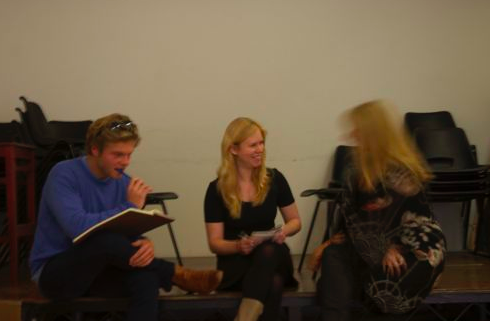 Audition Doctor sessions give students a helpful taster of the kind of work they will be doing at drama school. Audition Doctor is unique in that Tilly offers the space and guidance to help students realise this. The blending of instinct, technique and emotional perspicacity that students come to master is something that comes out of the sessions and why students never fail to recommend Audition Doctor highly enough.